Print only. Available at Amazon. Collects the Supergirl stories from Action Comics #252-307, first published 1959-1963. 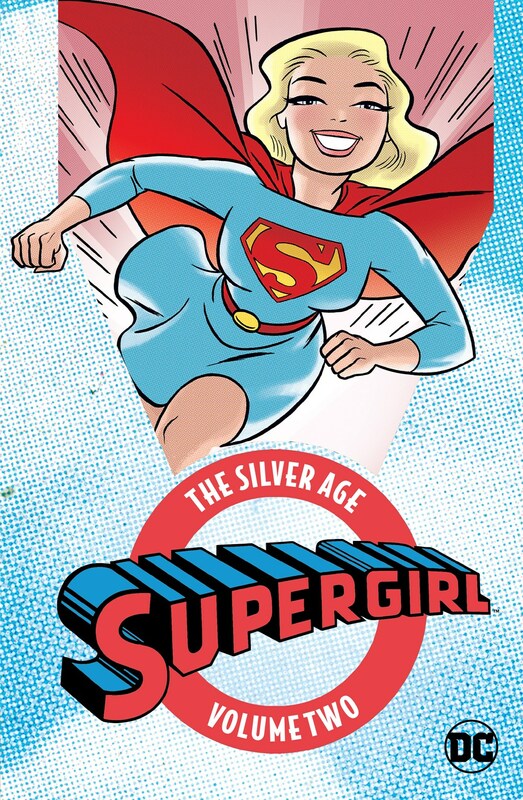 This massively sized 688-page hardcover includes Kara Zor-El’s early adventures in the Midvale Orphanage when she operated in secret, her adoption by the Danvers and subsequent public debut as Supergirl, her first romance, her first encounter with the Legion of Super-Heroes, a run-in with the Superman Emergency Squad, her first exposure to red Kryptonite, and multiple appearances by Streaky the Super-Cat and Comet the Super-Horse. Written by Supergirl co-creator Otto Binder (co-creator of Mary Marvel), Jerry Siegel, and Leo Dorfman. Art by Supergirl co-creator Al Plastino ( Action Comics #252) and Jim Mooney. Covers by Curt Swan and Stan Kaye. 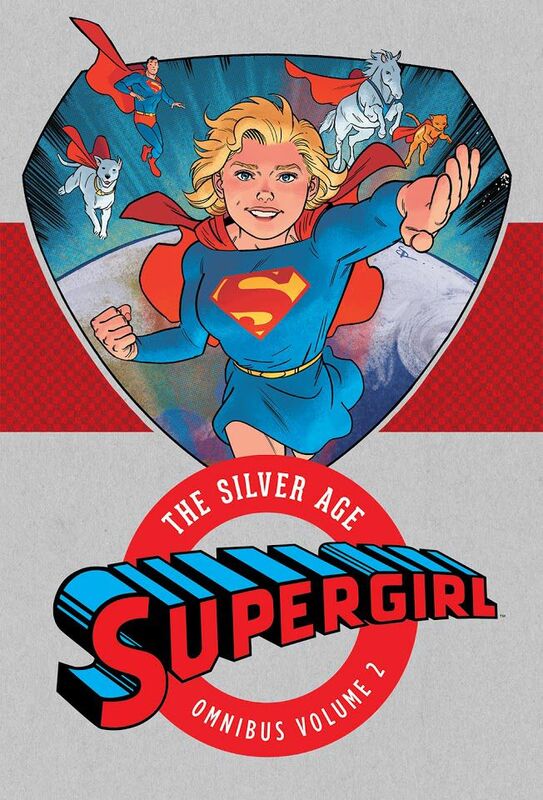 In this collection of 1960s Supergirl adventures, the Girl of Steel meets the Tot from Nowhere, learns more about the fate of her home on Argo City, and encounters Lex Luthor’s sister, Lena Thurol. Plus, as Linda Danvers, she enrolls in Stanhope College and considers leaving Earth for a planet of super-powered women. This 704-page hardcover collects the back half of the Supergirl stories from her original Action Comics run: #308-333, #335-340, #342, #344-346, #348-350, #353-354, #356-359, #361-372 and #374-376, first published 1964-1969. This 384-page paperback edition collects the Supergirl stories from Action Comics #252-284. This first volume of smaller paperback versions of the omnibuses is part of DC Comics’ affordable line of paperback and digital Silver Age reprints, which also includes Superman, The Flash, Green Lantern, Justice League of America, and Batman & Superman in World’s Finest. Collects the Supergirl stories from Action Comics #285-307. 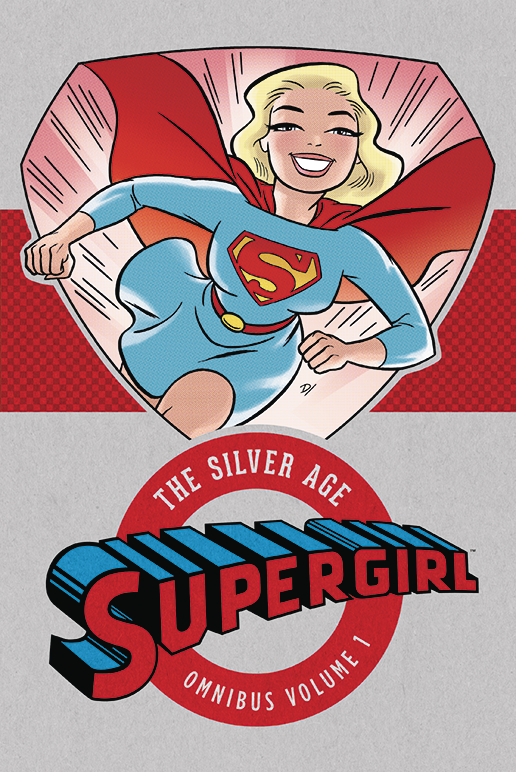 This 384-page softcover collection covers the back half of the Silver Age Omnibus Vol. 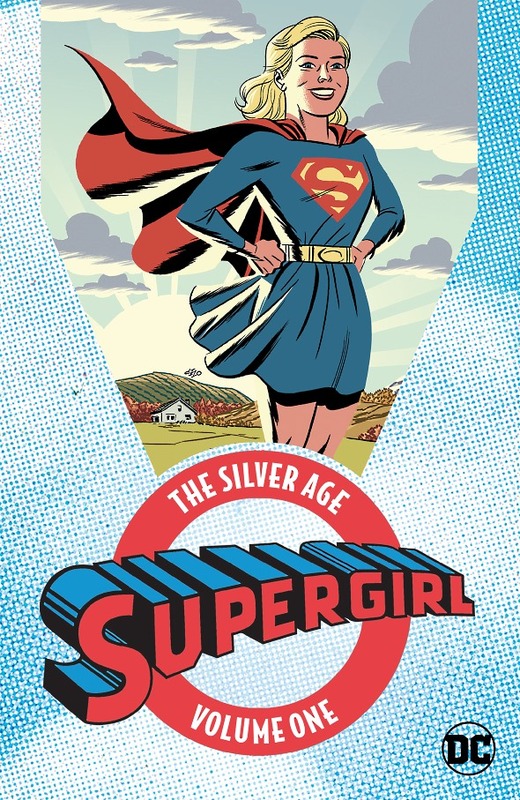 1, so it’s a good guess that volumes 3 and 4 will appear in summer 2019 and 2020 respectively to finish out Supergirl’s Silver Age stories in paperback.